Helleni’s Bakery authentic handmade pies are your tasty choice in just 50 minutes. Made with the traditional recipe using the purest and carefully selected ingredients, all our products are ready for your culinary satisfaction every moment. The crispy phyllo done with dedication and love to tradition, surrounds the tastiest and best quality ingredients, checked one by one, following the contemporary feeding tendencies for a uniquely tasty result. Nowadays pies play an essential part in every days feeding custom. Helleni’s Bakery’s handmade pies are the truly ideal snack as an easy solution along with a quality and Greek taste culinary choice. Helleni’s Bakery whole grain rye flour pies are rich in vegetable fibres, which result in an increased feeling of fullness for a longer time, contributing a more balanced diet. Furthermore, they have a comparatively low glycemic index. Helleni’s Bakery’s Organic handmade pies constitute a contemporary nourishing and at the same time a tasty choice due to the fact that the ingredients used are by certified chosen producers of organic farming. 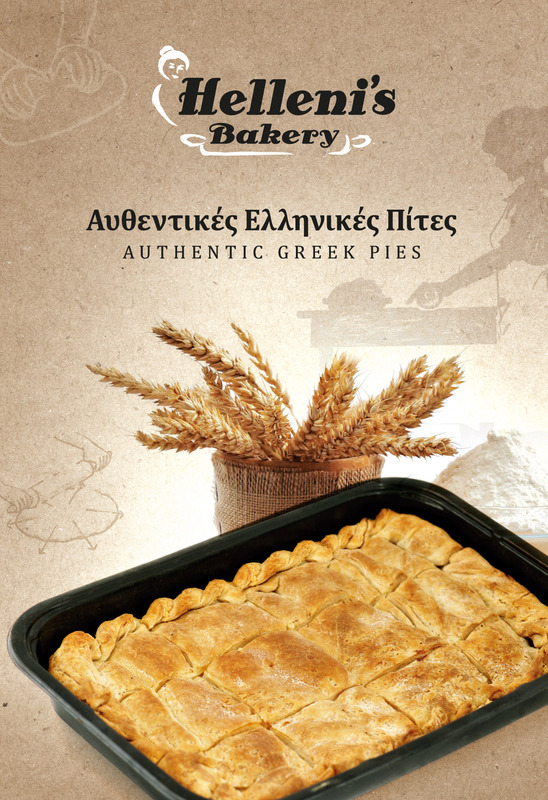 You should choose an authentic handmade Greek pie by Helleni’s Bakery because…they are made by the purest and best quality ingredients! Because the only feeling you enjoy after consumption is one of energy and satisfaction! Because they combine quality with the unparalleled taste and balanced diet. Furthermore, it is the easiest meal you can enjoy every moment of the day. Two to three pieces of any of Helleni’s Bakery pies constitute one small but full meal. Helleni’s Bakery’straditional handmade pies are all you can ask from a tasty and quality food choice on your plate. Enjoy our traditional pies any time with your family or friends!